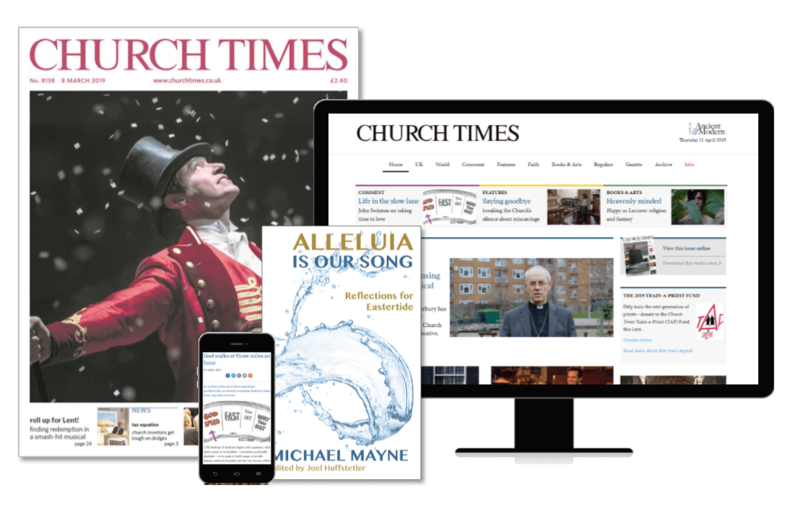 New to the Church Times? Don’t miss our special Easter subscription offer. Plus: take out an annual subscription today and we’ll send you a FREE copy of Alleluia is Our Song by Michael Mayne. This subscription offer is available to new UK subscribers only. Not in the UK? See our current international delivery and online-only subscription offers. You can also subscribe by telephone. Call our subscriptions team on 01603 785911 and quote code CT1903.